Join the JM Drama team for their 2019 production of Evita! 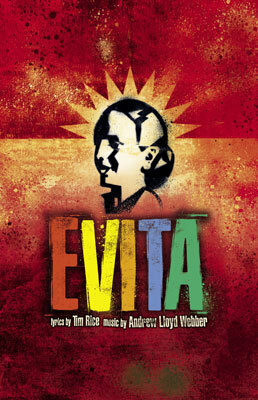 Evita is a musical by Andrew Lloyd Weber and Tim Rice about the life of Eva Duarte Peron. It chronicles her rise from poverty to become an Argentinian actress and the wife of powerful President Juan Peron. The play begins, and ends, with the Death of Eva. In what is essentially a series of flash backs, Eva fights her way up the Argentina social ladder from a poor teenager into a woman of influence and power. Eva's rise to power earns her the respect and love of the masses and the hatred of the aristocracy and the army. The play has three main characters: Eva, Che and Peron. There are roles for supporting characters with their own songs - Migaldi, Peron's First Mistress, 4 - 5 Army officers, Eva's dressing crew - and a large ensemble that will entail the Aristocracy, press, masses, children etc. We will be looking for children 6 -12 years old, and an ensemble of all ages. Singing/Dancing Ensemble dancers who can sing - all ranges to a high standard, knowledge of tango an asset. Please bring a short monologue that shows your acting range and two short songs with different tempos and demonstrating your vocal range. Bluetooth will be available if you wish to bring a track. Dance auditions will be held with call backs. Show Dates are August 8 - 10th and 15 -17th. Practices will be held Wednesdays and Sundays 6:30 to 9:30. Beginning April 17th (Wednesdays only) and Sunday's beginning in May. If you cannot make auditions on March 19 or 20, please contact Julie at julie.jmdrama@gmail.com. JM Drama Alumni is committed to providing opportunities for actors, production designers, and crew to further their skills and indulge their love of theatre by presenting two community theatre productions each year. Since 1983 JM Drama has presented a number of fine presentations.